Featuring an exclusive seat-mounted joystick, automatic track tensioning and top rated hydraulic flow rates, the Gehl RT255 delivers maximum performance and versatility on the jobsite. The new Gehl RT255 Pilot Series track loader is now available at dealerships across the United States and Canada. Featuring an exclusive seat-mounted joystick, automatic track tensioning and top rated hydraulic flow rates, the Gehl RT255 delivers maximum performance and versatility on the jobsite. "The Pilot Series line has been a great addition to our Gehl track loader offering," said Aaron Haynes, global product line manager for track loaders, Manitou Group. "These track loaders are the first in the industry to have a seat-mounted joystick, providing a smoother, more comfortable ride which can in turn improve productivity." With the Pilot Series track loader line, operators have true one-to-one proportional control over the drive system. The new hydraulic pilot control joystick moves with the seat so there is less arm fatigue, and a redesigned cab gives additional legroom. Overall, operators are sure to experience a smooth ride in the Gehl RT255 Pilot Series track loader. This model also has one of the highest standard auxiliary hydraulic flow rates in the industry at 29.07 gpm, with an option for 37.7 gpm with high-flow. A higher rate of flow allows faster cycle times, making the Gehl RT255 a highly efficient machine. Operators also have access to more attachments so it is ideal for applications such as landscaping, where an operator is often switching between buckets, tree spades and augers. The Gehl RT255 Pilot Series track loader is a high performance machine powered by a 74.3-hp Deutz 4-stroke turbo engine with 243 ft-lbs of torque. It has an operating capacity of 2,550 lbs., at 35 percent tipping load, and it can lift up to 10 ft., 8 in. In addition, a custom-designed undercarriage provides enhanced stability, grading, tractive effort and ride control. The RT255 Pilot Series track loader is equipped with Gehl's industry exclusive IdealTrax automatic track tensioning system. IdealTrax reduces maintenance and track replacement costs by ensuring proper track tension upon engine start up and during operation. Tracks are not over-tensioned and there is less strain on sprockets and bearings, which increases the life of the tracks by up to 15 percent. Track changes in the field are also quick and simple with automatic tensioning. 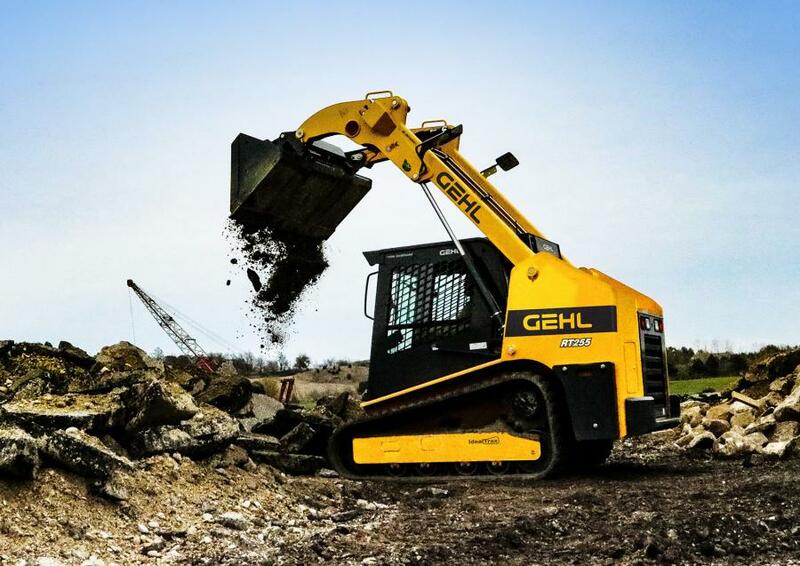 The addition of the Gehl RT255 model brings the Pilot Series track loader line to five models for North America.HydraGlide, another exclusive feature on the Gehl RT255 track loader, provides a smoother ride with less material loss. The lift arm "floats" while transporting loads, and additional self-leveling keeps the attachment level as the operator raises and lowers the lift arm. 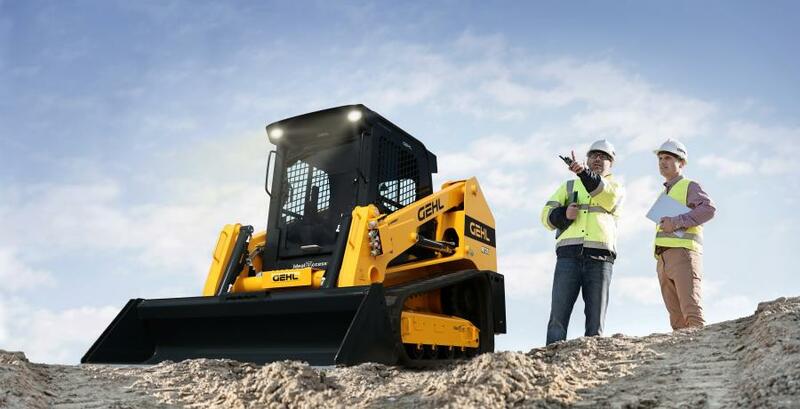 Optional features on the Gehl RT255 Pilot Series track loader include a fully integrated rear view back up camera, IdealAccess fold-up door and Easy Manager telematics. For more information on Gehl track loaders, visit gehl.com.